Two French engineers who are passionate about innovative use cases made out of new technologies and building accessible and collaborative robot, are now mixing last technology progresses in mechanics, electronics and computer science to deliver a new product: Niryo One! 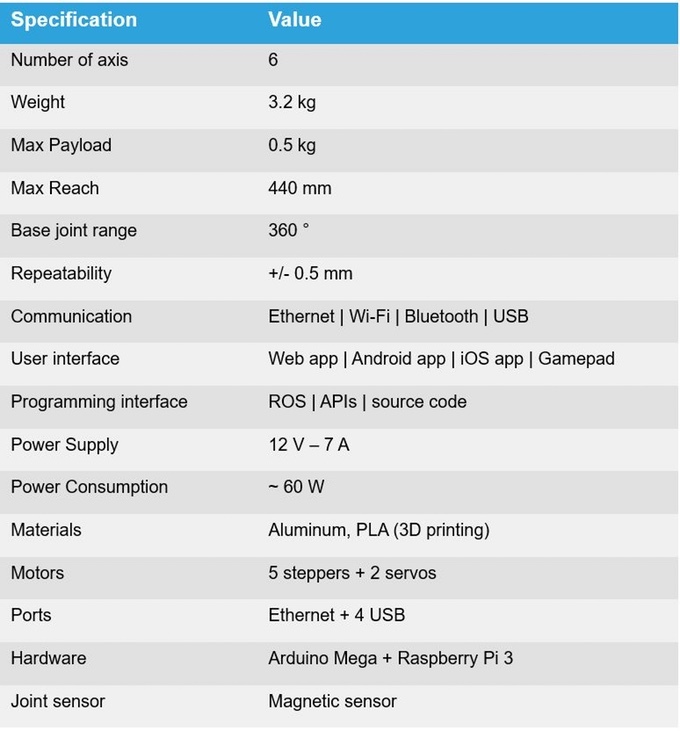 Niryo One is an accessible 6 axis robotic arm, made for makers, education, and small companies, and powered by Arduino, Raspberry Pi and ROS. 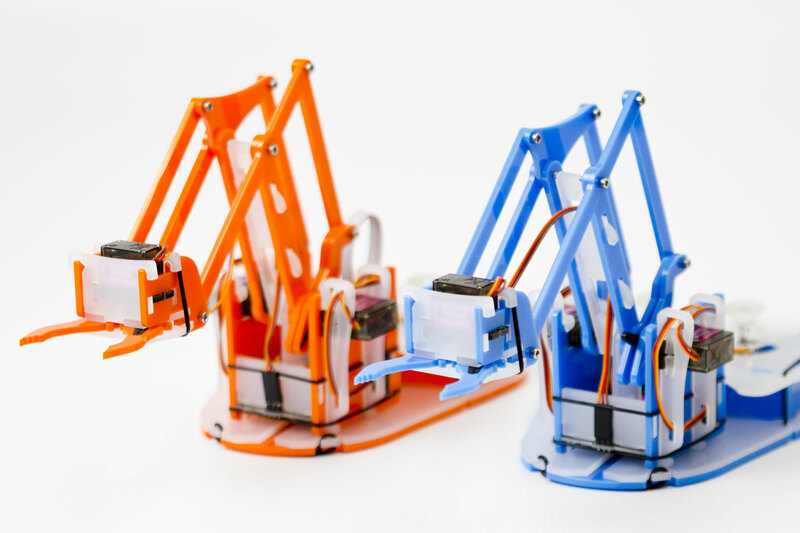 The 3D printed robot will be customizable since you can print out your pieces and customize them the way you like. STL files will be open source soon. 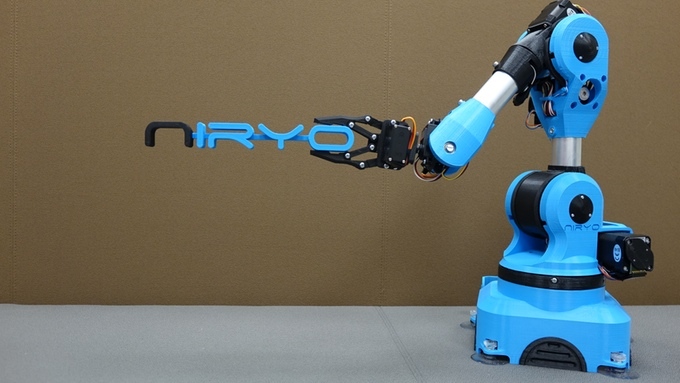 In a mission to democratize robotics, Niryo One team is working on making it affordable and user friendly. Endless number of applications are possible by using Niryo One, like drilling, pick and place operations, and many other options thanks to the 6-axis available. Niryo One can be controlled in many ways, whether using a web and mobile application, a joystick, or just your hands in its learning mode. Also you can control it using G-code if you want to use Niryo as a CNC. Connected with the cloud, each update and project you do with Niryo will be synced there, with the ability to share it with the online community. More gadgets and tools will be added to the cloud and you will also get free app updates. As makers ourself, we love 3D printing, Arduino and Raspberry Pi. Those are great to learn robotics, with the help of the online community. We want to go a step further, by embed those technologies and electronics platforms in Niryo One, to show to the world that, yes, we can make a real useful product with 3D printing, Arduino and Raspberry Pi. 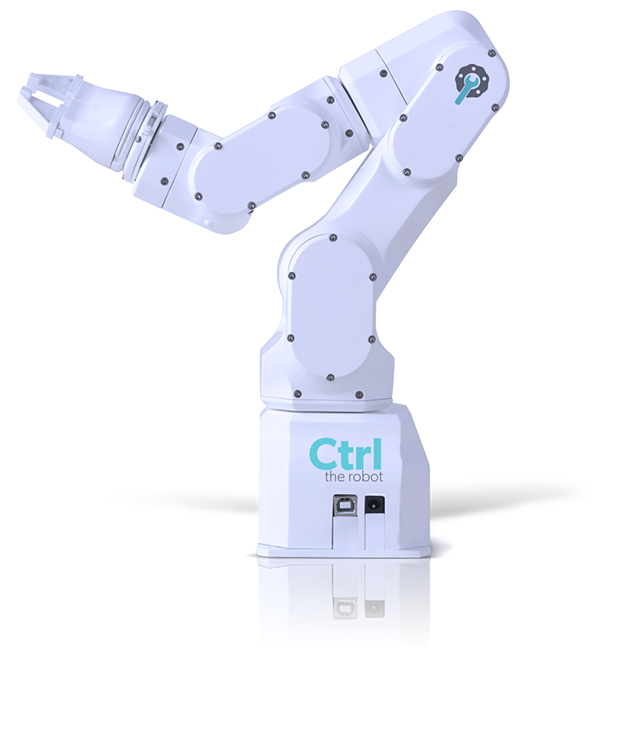 We hope that more people will be interested in learning these technologies when seeing what our robot can do, so it will reinforce the community around robotics projects. Niryo One is now live on Kickstarter and still has 35 days to go. You can pre-order a mini Niryo One kit for $119 and the early bird Niryo One maker kit for $549. More details can be found at the official website.